As a ferocious reader, finding a free book is the near-equivalent to finding a pot of gold, so when I moved to Ann Arbor and discovered Little Free Libraries scattered around town I felt as if the luck of the Irish shined upon me. How readers learn about new books is changing. Ebooks are an excellent alternative, and accessible at your fingertips, however sometimes you just want to clutch the pages while the plot builds suspense. 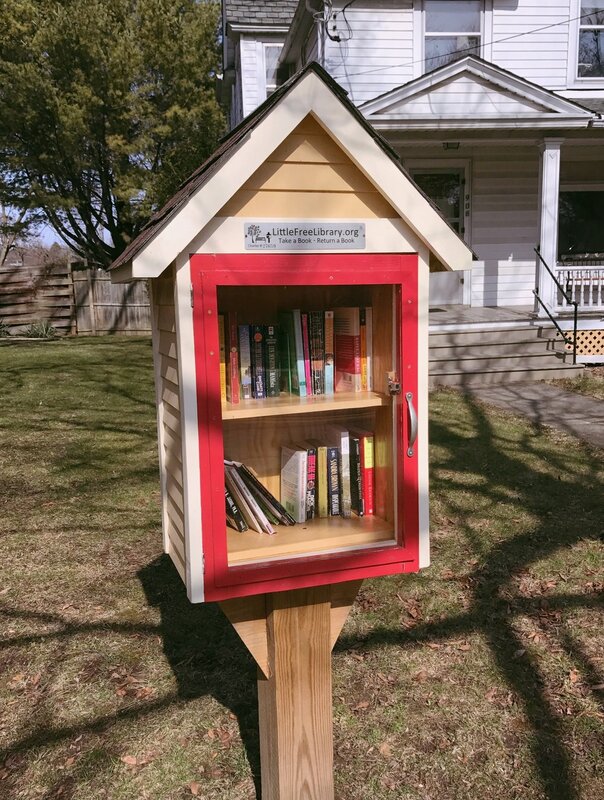 Of course Ann Arbor has an actual library, holding an expansive selection of novels, movies, instruments, etc, but I've compiled a list to help explain why I feel the Little Free Libraries are essential to our town's literary scene. On that note, the options provided may not fall into your normal preferred genre - and that's a good thing! It is human nature that we get trapped in routines. Are you a sucker for romance? That's great, but maybe a little sci-fi will spice up your life. Recently, I found a piece of literary fiction that broke my cycle of non-fiction biographies. I appreciated the change, and it led to other creative endeavors. Plus, if the book you choose was placed into the box by one of your neighbors, you'll get insight into their preferences and may even have something to talk about later on. Do you have a big trip planned and need some reading material to get you through the flight? Stop by the neighborhood Little Free Library! Since most of these are within walking distance it will only take a few minutes out of your busy day. I am fortunate to have one on my route home from work. Before my last trip I found "The Girl Who Kicked the Hornet's Nest" and it saved me from hours of twiddling my thumbs. Additionally, and perhaps the biggest benefit, you don't have to worry about late fees. Heck, you don't have to return it at all if you don't want to. HOWEVER, I encourage you to pay it forward. Place another book in the box for the next person to enjoy. We have all books we haven't touched for ages, so it's a great excuse to clean out the clutter. For more information about the Little Free Library program, or to learn how you can volunteer and support their efforts to promote literacy, select the link below! Show me where to find some books!